Our program initiative is to recruit talnted fresh graduates straight from university and assign them through the development period and growth program. The Program involves structure approach by assignment at PT. Sriwijaya Air team and to learn functional skills insights as well in overall business process. Our program initiative is to recruit talented fresh graduates straight from university and assign them through the development period and growth program. The program involves structure approach by assignment at PT. Sriwijaya Air team and to learn functional skills insights as well in overall business process. PT. 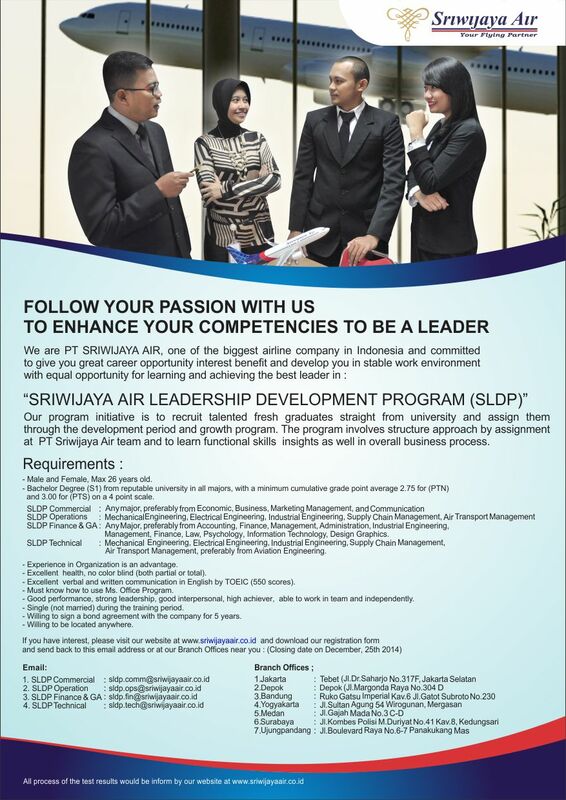 Sriwijaya Air are committed to give learning opportunity and great career path equally to every employee. Male and Female, Max 26 years old. Bachelor Degree (S1) from reputable university in all majors, with a minimum cumulative grade point average 2.75 for (PTN) and 3.00 for (PTS) on a 4 point scale. 1. SLDP Commercial : Any major, preferably from Economic, Business, Marketing Management, and Communication. 2. SLDP Operations : Mechanical Engineering, Electrical Engineering, Industrial Engineering, Supply Chain Management, Air Transport Management. 4. 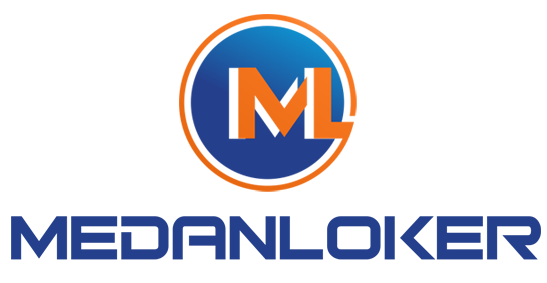 SLDP Technical : Mechanical Engineering, Electrical Engineering, Industrial Engineering, Supply Chain Management, Air Transport Management, preferably from Aviation Engineering. Experience in Organization is an advantage. Excellent health, no color blind (both partial or total). Excellent verbal and written communication in English by TOEIC (550 scores). Must know how to use Ms. Office Program. Good performance, strong leadership, good interpersonal, high achiever, able to work in team and independently. Single (not married) during the training period. Willing to sign a bond agreement with the company for 5 years. Willing to be located anywhere. If you have interest, please visit our website at www.sriwijayaair.co.id and download our REGISTRATION FORM and send it back to this email address or at our Branch Offices near you : (Closing date on December, 25th 2014). Medan : Jl.Gajah Mada No.3 C-D.